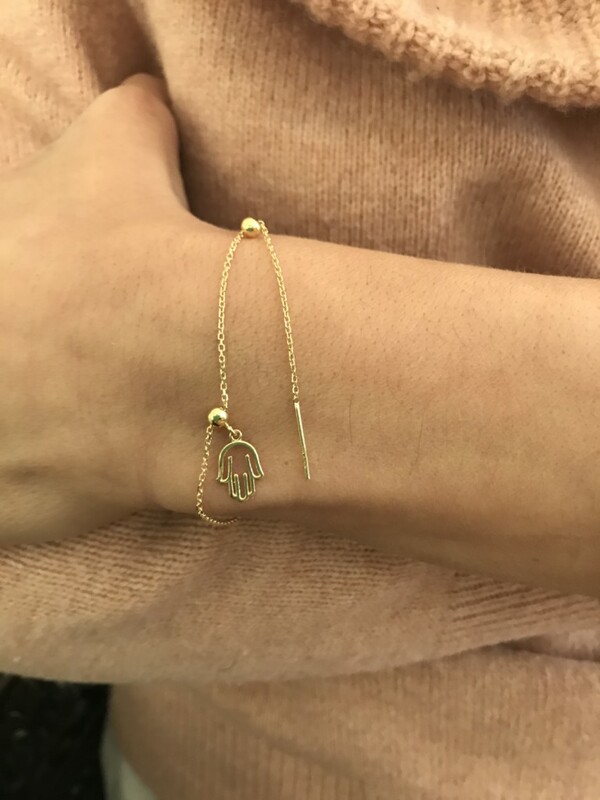 Mad for this 18kt Yellow Gold Hamsa bracelet. 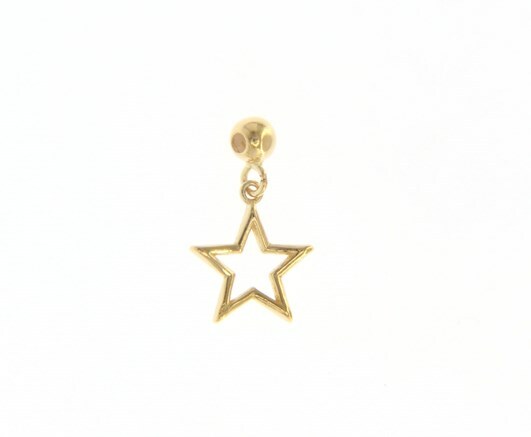 The chain is threaded through the small gold ball attached to the charm. 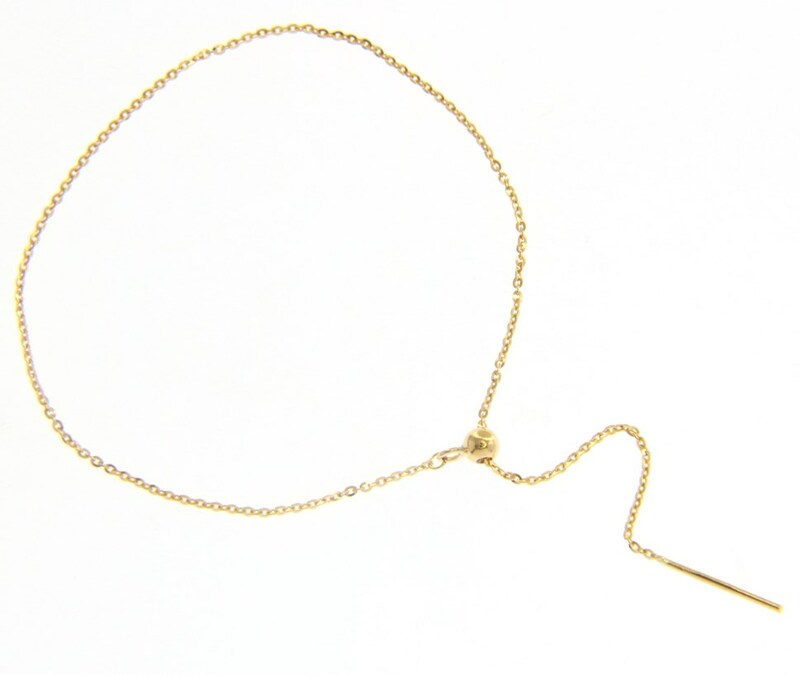 Adjust the charm to your desired position, place on your wrist and secure by threading through the ball at the end of the chain. The palm-shaped amulet originated in the Middle East and North Africa and has become a much loved loved jewellery motif. 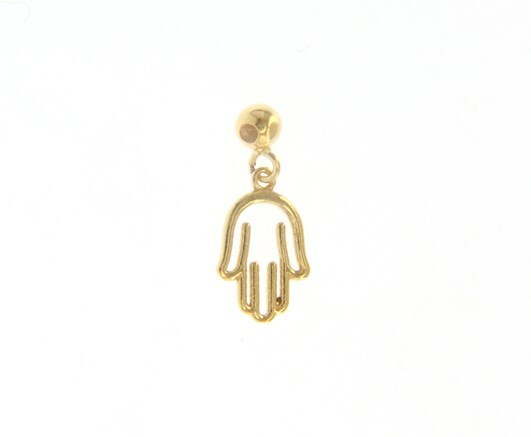 It symbolises the Hand of G_d and is a sign of protection. 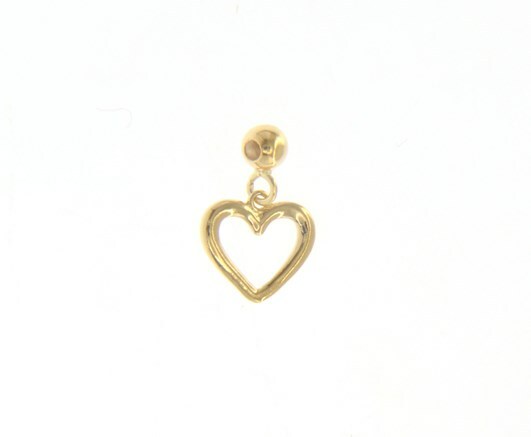 It has properties of happiness, luck, health and good fortune.